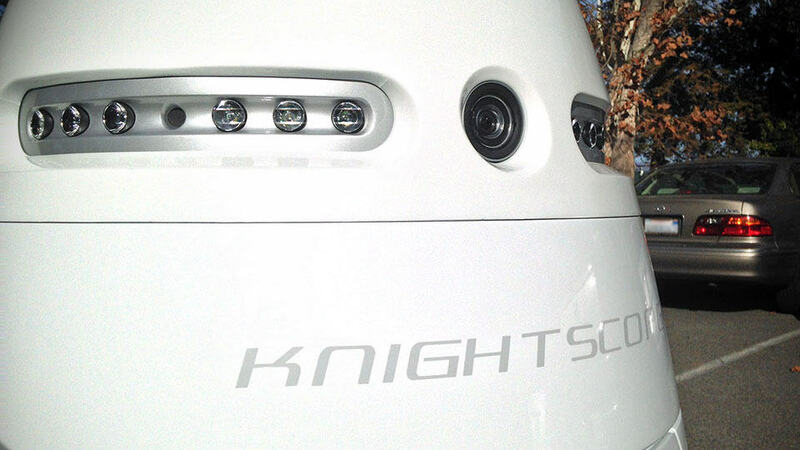 If Hollywood movies have made you feel paranoid about a robot-filled future, well, then we’re quite sure Knightscope Autonomous Security Robot‘s existence will not help quell that fear and the fact it looks eerily like evil killer robot Dalek, won’t help much either. 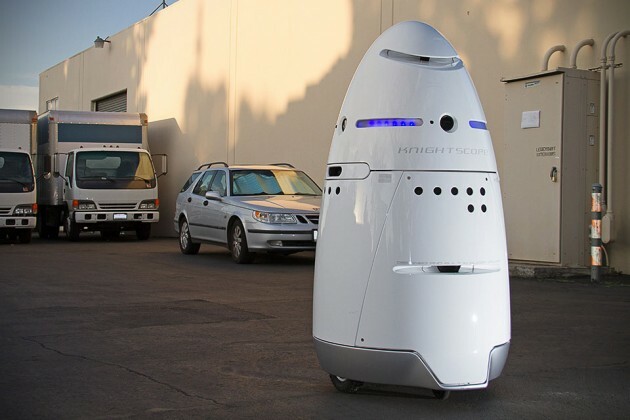 Anyways, this Autonomous Security Robot, known as K5, developed by California-based Knightscope with the aim of undertaking the role of a security guard, but unlike some security guards, K5 is not armed. 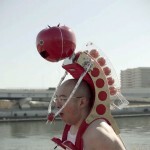 However, that does not make it any less imposing. 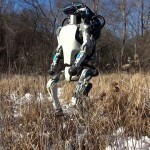 At five-foot tall and weighing at 300 lbs (136 kilograms), the K5 certainly will certainly make its presence known, well, that’s if the evil robot appearance hasn’t. Like any of today’s robots, K5 is equipped enough sensors, cameras, navigation equipment and electric motors to enable it to carry out its duty. 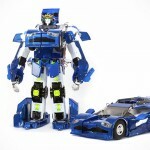 There is of course, a rechargeable battery pack, onboard processor, wireless technology and stuff to get things going. 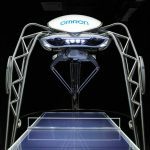 It has not one, not two, but four HD cameras (one on each side of robot), a license-plate recognition camera, four microphones, and even a weather sensor to grab barometric information, carbon dioxide level and temperature. 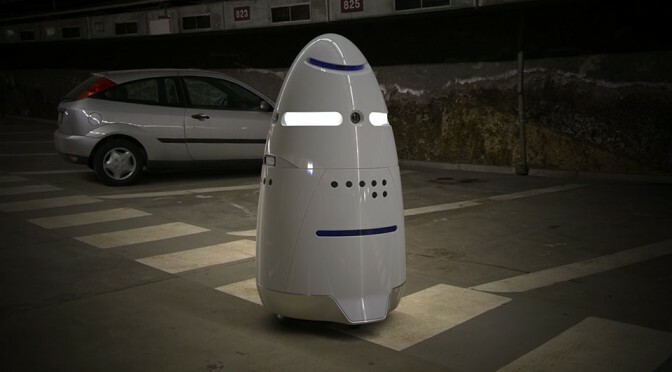 Onboard WiFi is used for communication with other K5s and with people who remotely monitor the robot’s cameras, microphones, and other data, while GPS and laser are used for navigation. 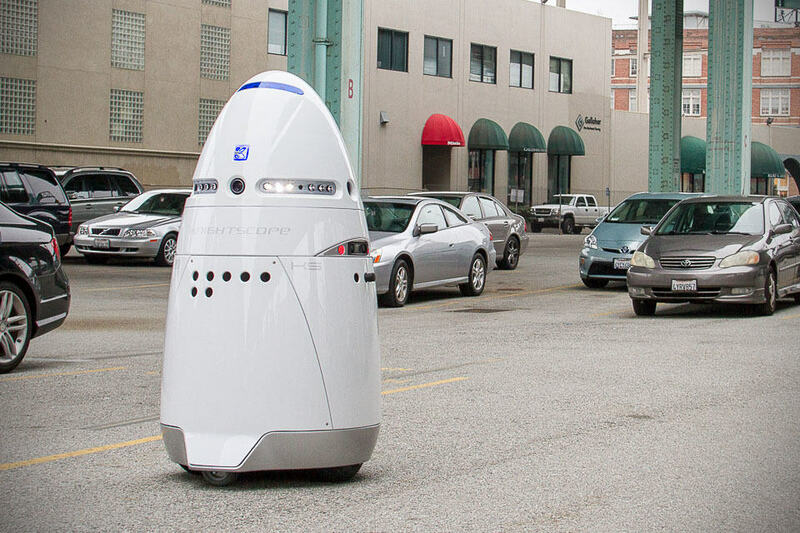 As capable as it maybe, K5 Autonomous Security Robots are not destined to replace human security guards, at least anytime soon, but it can certainly help supplement the current security forces and at the same time, increase productivity. They never gets tired and it will always be as alert as it should be. 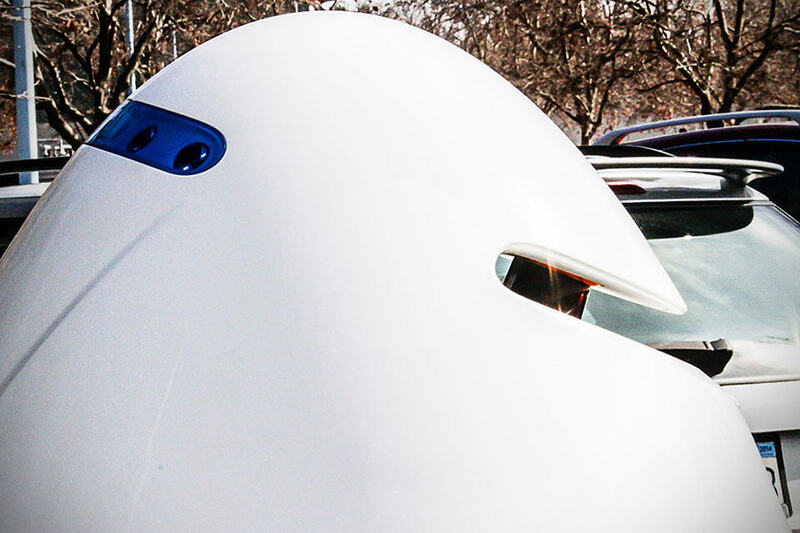 Its onboard battery offers up to 24 hours on single charge. When the battery life goes below certain threshold, K5 will automatically navigate to the charging pad where all it needs is between 15 and 20 minutes to be topped. The best part about K5? It is not another dream, it has already wheeled out of the lab and a fleet of them is already patrolling Microsoft’s campus as we speak. Keep going for a video of the K5 in action.